Everything you need to know about the arcade monitor. What monitor you need for your arcade game, what resolution, how to hook it up. You will find out all that information and more here. Register now to be part of ArcadeMonitor.com's forum! ArcadeMonitor.com is a manufacturer and distributor of arcade monitors and monitor parts for the Amusement, Gaming and Interactive industries. An arcade monitor does not hook up like a TV its more like a computer monitor. Most early arcade games before they started using VGA cables were hooked up with the red, green, blue, sync, and ground wires from the game. This is why arcade games look so much better then home systems back then. The red, green, and blue wires are the signals for the red, green, and blue electron beams in the CRT monitor. TV had to combined all the colors and sync into the one RCA video line, that would be about 25% of RGB power. 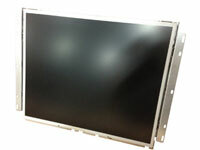 Most new arcade monitors all use VGA now but the one thing that really set them apart from your computer monitor and TV is they are designed with a frame for installing them in an arcade cabinet! This is a good thing because it really is the best way to mount the monitor in the cabinet. If you try to put a computer monitor in and arcade game their is no way to bolt the thing in, so it can move around. Toshiba D29CR55 PB6643-1 arcade monitor no picture and no hi voltage. Wells Gardner U3000 VGA arcade monitor making a clicking sound.